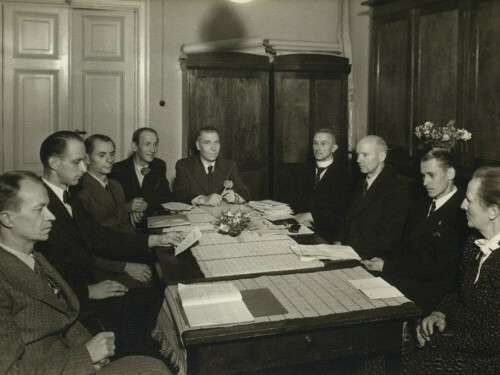 Rurik Pitkänen (1898–1966) worked in the Finnish Association of the Deaf for four decades and was an eager promoter of e.g. Deaf vocational education as a secretary, a travelling advocate and finally as an executive director. In the 1920's and 1930's he travelled across the country enlightening and lecturing and was known by virtually everyone. For years he was a board member in the Surdus printing house and during his time dozens of Deaf were trained and employed by the company. 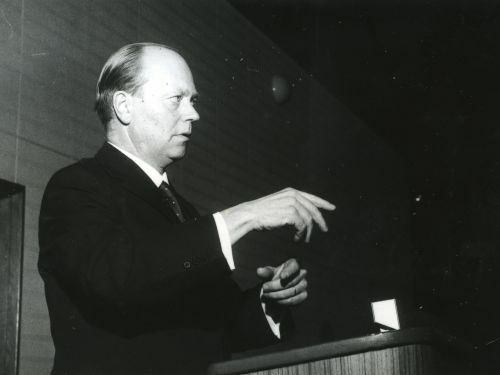 Torsten ”Totti” Rikström (1916–1999) was a diverse performer and a cultural person in the Deaf cultural life. He interpreted the great names of theatre, e.g. Aleksis Kivi and Molière, to the Deaf audience. He led sign language using choirs and performed for decades in the National Culture Days of the Deaf. Svante Lagergrén (1844–1900) was born in Halmstad, Sweden in 1844. His merchant father left the family in the 1850's and his mother was left to support her four children with a meagre teacher's salary. Svante was four years old when he became deaf. The artistically talented boy got an apprenticeship in a portrait painter's studio in the hometown, Halmstad. The Savisaari family has had deafness in several generations. 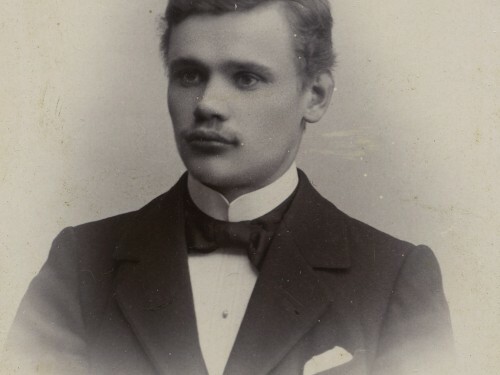 The first known Deaf in the family was Elias Savisaari (1850–1906) who married his former school friend Maria Valkama (1857–1938) and the family settled in Savisaari tenant farm in Alavus. All the children were deaf and were sent to the Turku Deaf School. In the early 20th century in Tampere and Pirkanmaa region there were two influential Deaf families: the Talvia and the Ritala. 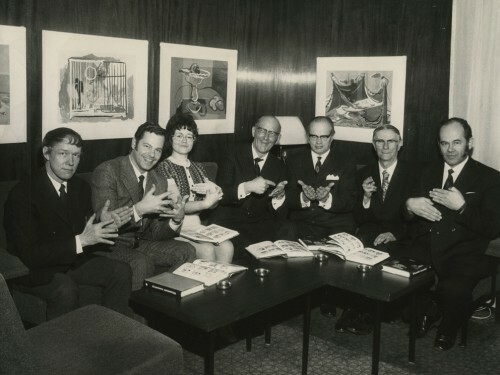 Siiri, Evert, Heikki and Juho Talvia were the founders of the Tampere Deaf club, and Kaarlo, Vilho, Eeva and Akseli Ritala amongst the founders of the Heffata Deaf club in Huittinen. The two families were joined when Eeva Ritala and Juho Felix Talvia got married. 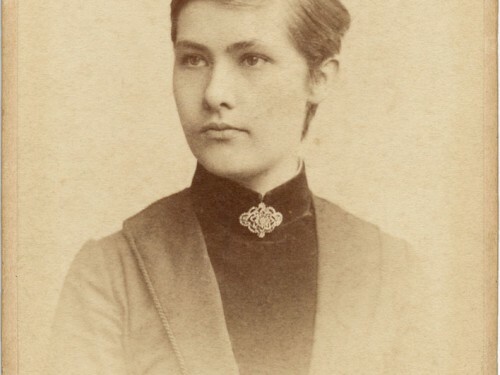 Julia Tavaststjerna (1844–1929) belonged to an upper-class family and married her cousin Karl Alfred Stadius with a special permission. 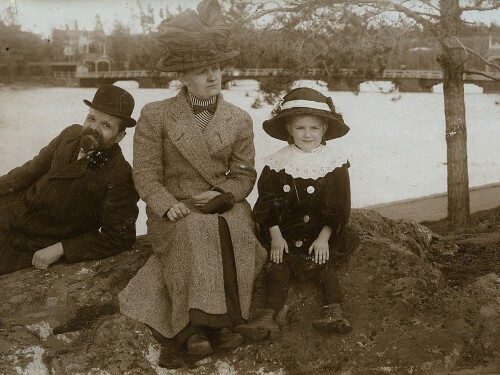 From their three children the middle one, Valter Stadius (1869–1935), became deaf when he was three years old. A new life began for Mrs. Stadius. She used her literary skills and high social position in benefit of the Deaf. Raija Niemisen (1937–2004) was the very person behind the Cultural Centre of the Finnish Association of the Deaf and the Theatre of the Deaf. According to her, the Deaf and the hearing should have equal rights for cultural services. The Accessibility of culture was tightly connected with enhancing the social position of the Deaf. Elin Carlstedt (1864–1949) was one of the Deaf teachers before implementation of oralism. She taught handicrafts for Deaf girls in 1882–1893. Elin Carlstedt was a chairman for the Porvoo Swedish Deaf Club for more than 20 years. The contemporaries of Oskar Wetzell (1888–1928) considered him as one of the most prominent persons in the Deaf community. 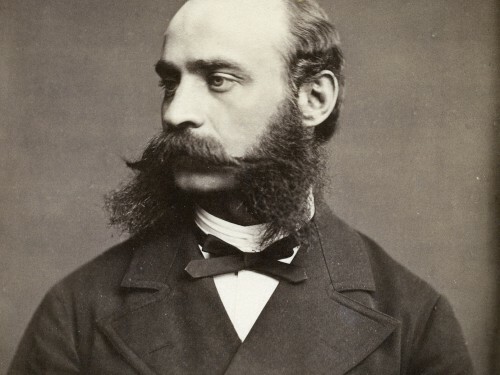 He was a multi-talent who became famous amongst the Deaf as well as the hearing, as an athlete and a magician. 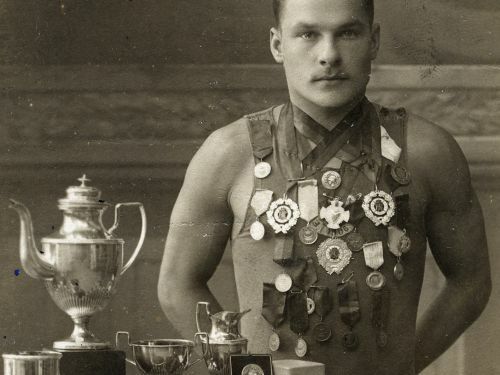 He represented Finland in two Olympics (1908 and 1912) in diving and won nine Finnish diving championships.